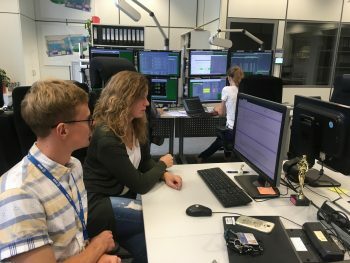 On Monday, 9 July 2018, engineers based at ESA’s European Space Operations Centre in Germany made the decision to alter the path of the CryoSat satellite, preventing a potentially fatal collision between it and an ‘unknown object’. For the second time this year the risk of collision was deemed high enough to give the satellite instructions to get out of the way. CryoSat is ESA’s mission dedicated to measuring the thickness of polar sea ice and monitoring changes in the ice sheets blanketing Greenland and Antarctica. Flying at an altitude of just over 700 km and travelling from pole to pole, Cryosat keeps us informed about an often cited ‘early casualty’ of global warming, Earth’s ice. The first warning of trouble came about a week before the event from the Joint Space Operations Center (JSpOC) in the US, informing ESA’s Space Debris Office that a potential collision was on the horizon. Europe has no debris surveillance system of its own, so must rely on the US military to provide such warnings. Time of close approach: Monday 9 July, 04:24 UTC. “We received the first ‘Conjunction Data Message’ from JSpOC on 2 July 2018 at 08:02 UTC. At this point, the chance of a collision was still below our threshold of 1 in 10 000. By 5 July 2018, at 23:00 UTC, the probability had climbed above the threshold and we informed the CryoSat mission managers the next morning,” describes Vitali Braun, Space Debris Engineer at ESA’s Space Debris Office. So the warning was passed from the Space Debris Office to the team operating CryoSat at the Earth Observation Mission Control Room. On Sunday, the commands were sent to CryoSat; on Monday, 50 minutes before the potential collision, its thrusters fired, successfully boosting the spacecraft to a safer orbit. Because of the swift action of the dedicated teams that care for the mission, the chance of collision dropped from 1 in 10 000 to 1 in 1 000 000. By firing its thrusters, CryoSat increased its speed, and in so doing increased its ‘orbital energy’, pushing it into a higher orbit around Earth. Instead of a pass distance of just 14 metres between the two objects at their closest point, CryoSat passed more than 120 metres above the unknown object, or ‘chaser’. Chasers might be other operational satellites, dead satellites, spent rocket parts, mission-related debris — such as lens covers, payload adapters or despin weights — or they may stem from the most common source, on-orbit explosion and collision fragments. After it was confirmed that CryoSat had successfully avoided collision, the operations team began preparations to get it back into an orbit that would allow it to continue its vital work. 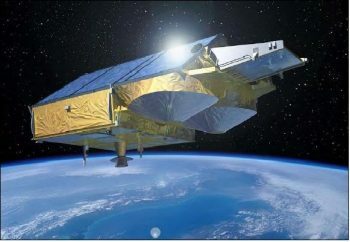 “The collision avoidance manoeuvre performed early on Monday raised the orbit of CryoSat outside the optimal altitude. We are currently preparing the commands that will implement a second manoeuvre, ensuring CryoSat is able to satisfy its scientific mission in the weeks to come,” explained Elia Maestroni, CryoSat-2 Spacecraft Operations Manager. With these commands, CryoSat again fired its thrusters, but this time in the opposite direction, slowing it down by 3.043 cm/second and so lowering its orbit. By Thursday, CryoSat was back at work. None of this would have been possible without the dedication and experience of the teams involved, but an event like this still comes at some cost. Every time CryoSat fires its thrusters it uses some of its fuel, ultimately shortening the length of its mission. 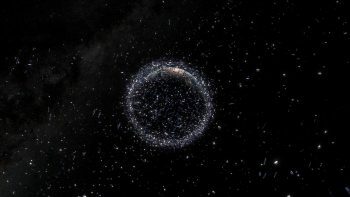 By the end of 2017, 19 894 bits of space junk were known to be circling our planet with a combined mass of 8000 tones, and unfortunately these numbers are increasing.The goal now is to remove debris from space, at the same time as preventing any more getting there in the first place. ESA has long taken a leading role in this effort, through the work of the Agency’s Space Debris Office and under the Space Situational Awareness Programme, which includes the Clean Space initiative, that is developing technology and systems to monitor hazards like space debris. For more information on the problem of debris, check out ESA’s 2017 report on space junk or access the space debris web pages.